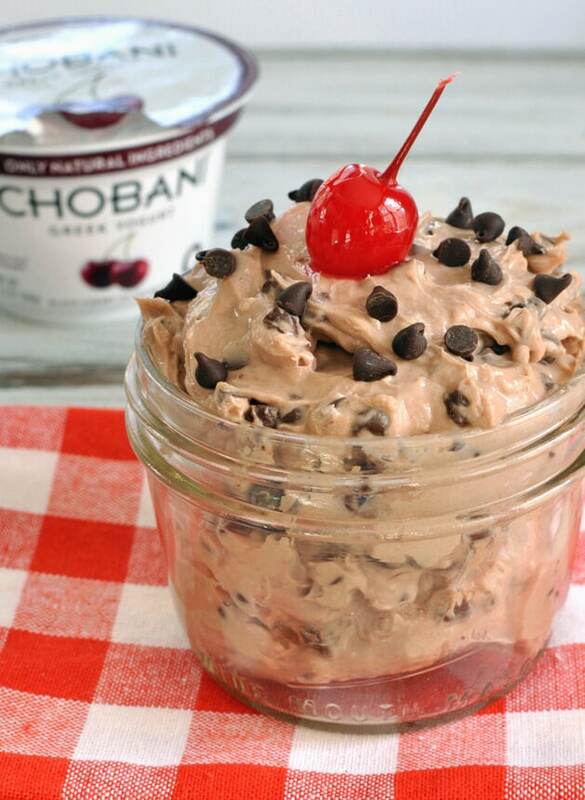 Today’s recipe is a chocolate cherry fruit dip and is part of the Chobani #madewithchobani challenge. 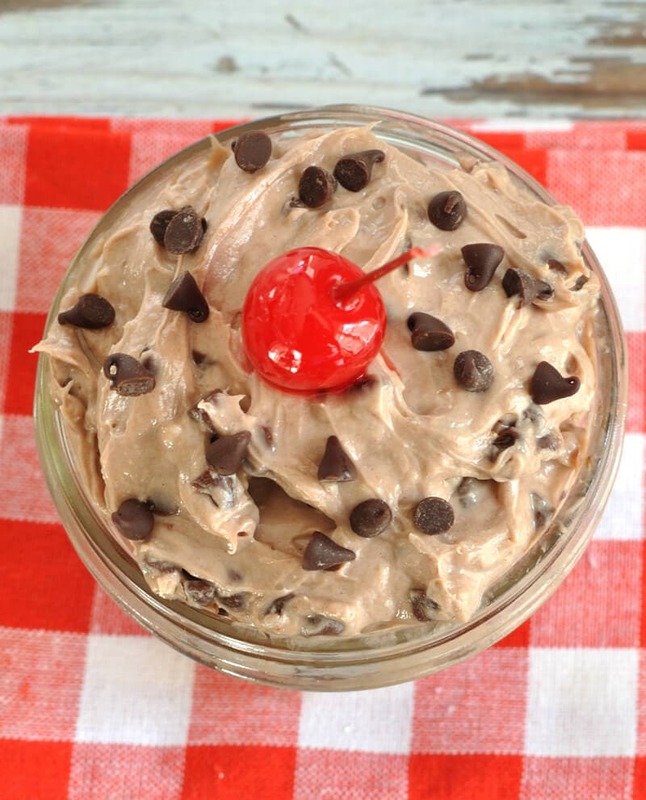 This is super easy to put together and would be a great Valentine’s party dessert dip.
. This yogurt has the fruit on the bottom that you mix in. So what goes well with cherry? 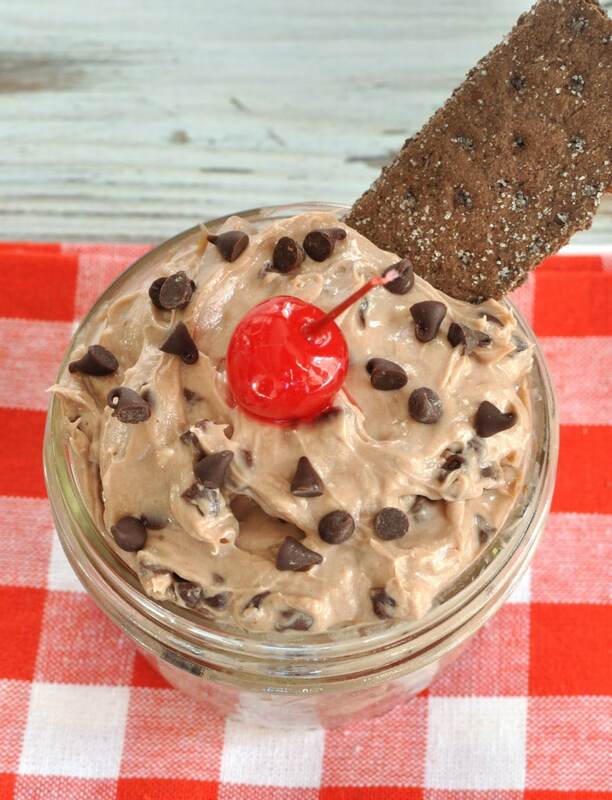 Well chocolate of course 🙂 You could think of this as a chocolate covered cherry in dip form. Yummy! 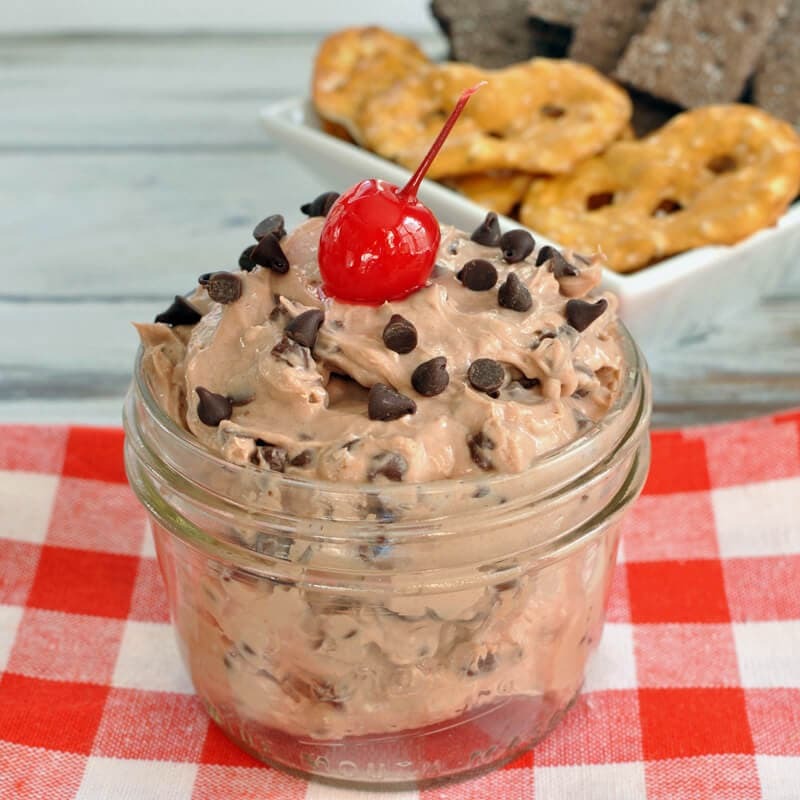 This chocolate cherry fruit dip is a dessert, but you could use low fat cream cheese or neufchatel cheese with the yogurt to make it slightly better for you. 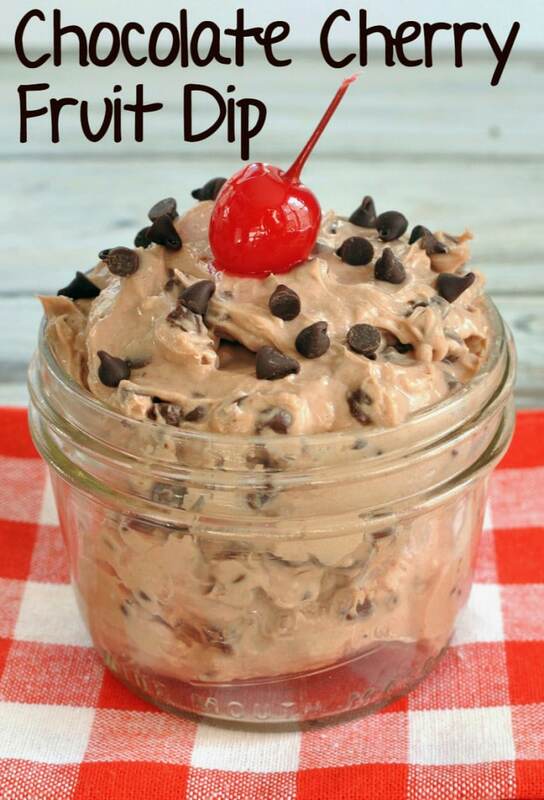 Serve the chocolate cherry fruit dip with apple slices or strawberries (the healthier options). 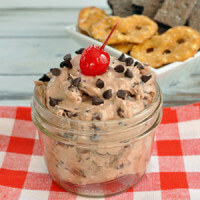 You can also serve this with chocolate graham crackers, pretzels, or cookies as I did when I taste tested this recipe. 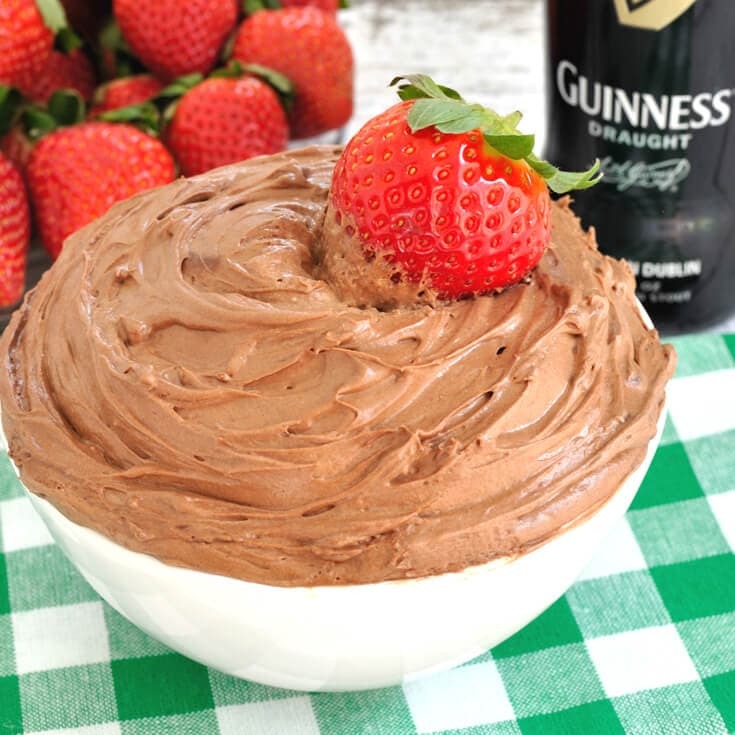 Using a mixer on medium speed, beat together the cream cheese and powdered sugar until creamy. 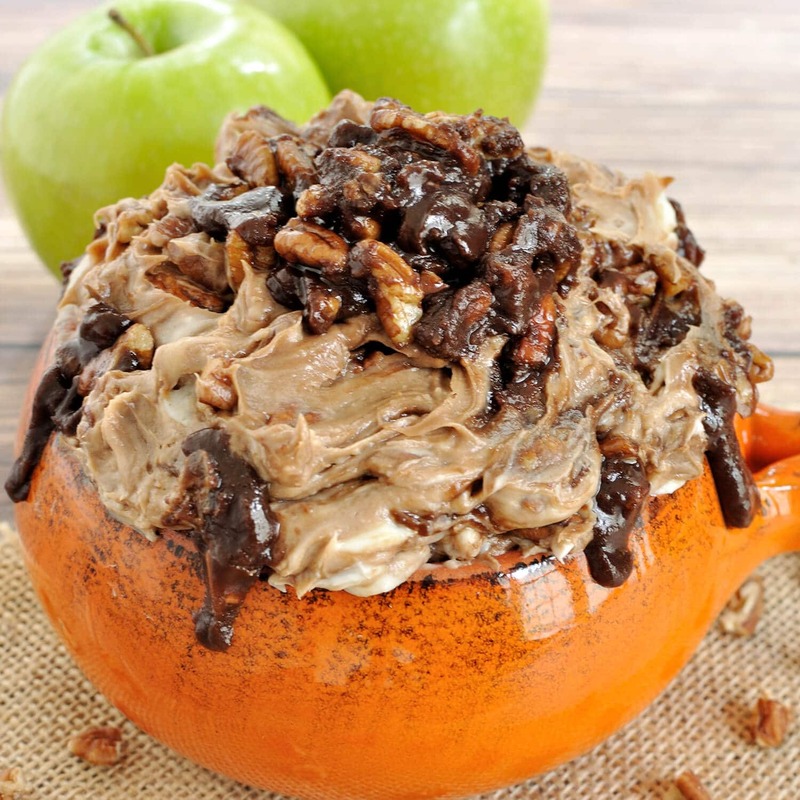 Add in cocoa powder and mix until combined. Using a spatula, folder in yogurt and mini chocolate chips. 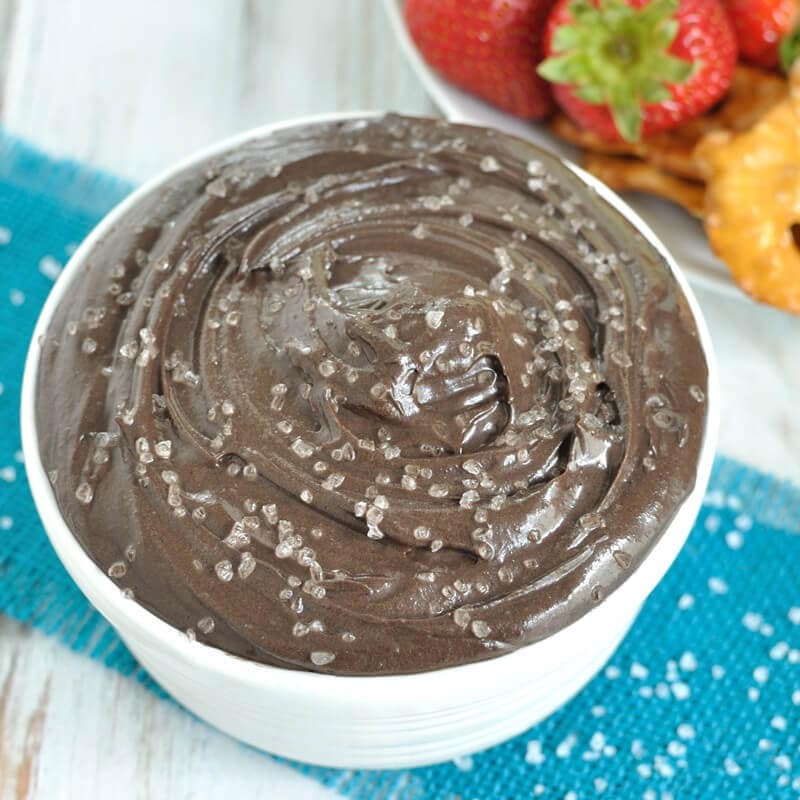 Chill dip in refrigerator for an hour or until ready to serve.